Replacing clutch, looks like flywheel is too close to (maybe touching) oilpan. I really don't want to have to take the transmission off again. 2: so reduce it to 1024 wide. pixels using PC paint, click resize save. or put the photo on any photo site (endless) first then link it. no engine stated, 8v or 16valve in uSA, there are 2 engines, this year, and the 16v has bigger disc clutch due to 15 more horse power, and torque. what does that mean, I did it already or in the process of replacing. 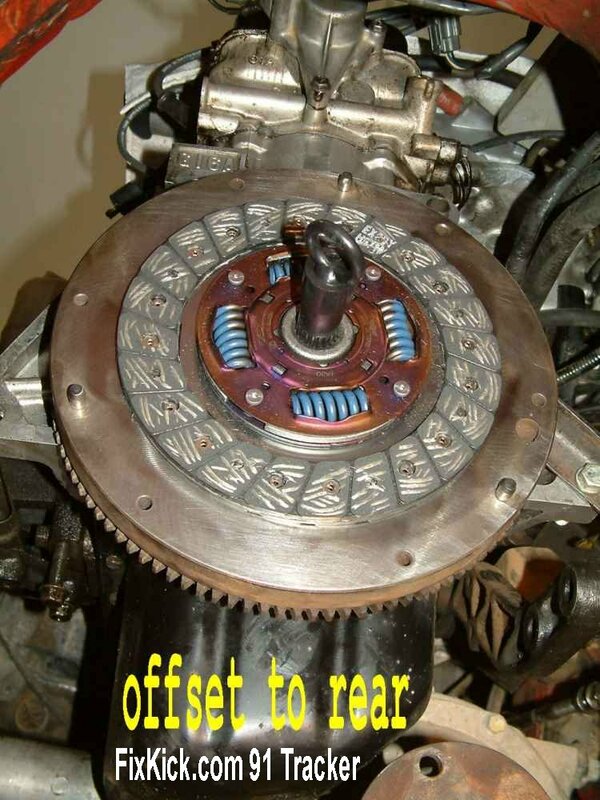 did you remove the flywheel then put it on backwards? there is no spacer on 5speed box, like they have on A/T box. the pan has 3/4" lip so how can it touch the clutch no way. did this car run before? by you, or buy it in "AS IN condition" dead, and wrong parts. on car. history matters. in this case. let me guess, you tried to bolt it all up but the gap ,will not close. bell to engine. that means the disk is in backwards, most times. the 2nd reason is not using the alignment tool above, and the splines do not align up. you can bump the starter, to get the splines in to the DISC hub align with the 5speed pilot shaft splines, a 1 second bump. the other way is rear prop shaft is on the floor , is it ? then only put up the front end only, not rear to axle 4bolt plate. put the trans in 4th gear (this is 1:1 ratio, 4th) and hand turn the rear prop shaft yoke by hand this will align splines too.